More than 30,000 people fled the Nigerian town of Rann over the weekend amid fears of renewed attacks by the Boko Haram armed group, according to the United Nations refugee agency. 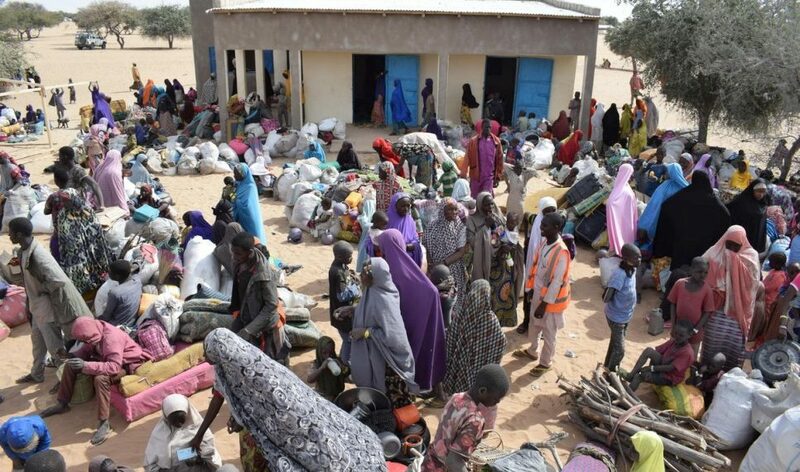 Rann, near the border with Cameroon in northern Borno state, already saw an exodus of about 9,000 people earlier this month to Cameroon after a Boko Haram attack on January 14 killed 14 people. Baloch said Cameroon sent back the 9,000 refugees and initially deployed troops that are part of a multinational task force to protect the town. â€œIt was a bit peaceful, but as far as we understand now, that multinational taskforce has left,â€ he said. Refugees told aid workers that Boko Haram fighters had â€œpromised to return to Rannâ€, he said, explaining the panic. Baloch said UNHCR was reiterating its call to Cameroonian authorities â€œto keep the borders open, as we see thousands fleeing every dayâ€. Baloch said a recent upsurge in violence in northeastern Nigeria had driven more than 80,000 civilians to seek refuge in already crowded camps or in towns in Borno state, â€œwhere they are surviving in tough living conditionsâ€. Rann, he said, had already been housing about 80,000 displaced people. â€œThe escalation in the conflict has thwarted peopleâ€™s intention of returning to their homes,â€ he said, adding some refugees who attempted to return home from Cameroon had been displaced multiple times inside Nigeria or forced to become refugees again in Cameroon. â€œThe hostilities have strained humanitarian operations there and forced aid workers to pull out from some locations,â€ he said. Jens Laerke, the spokesman for the UN humanitarian agency, told reporters that 260 aid workers were withdrawn from three locations in Borno state since early December.